Directions: Put 1/4 stick of butter in big pan on stove until it melts. 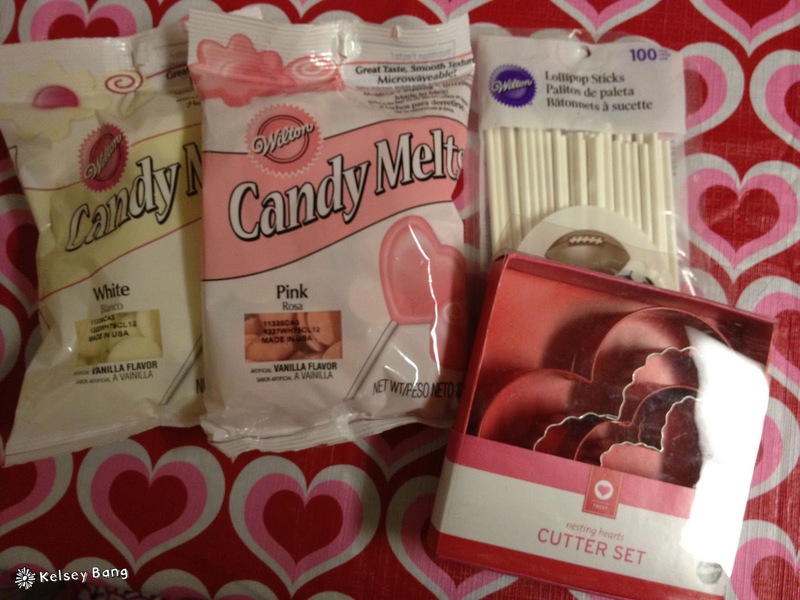 Then add marshmallows until they become a new sticky form and stir in rice crispys. Put the finished mix in a greased pan to cool off. 1. 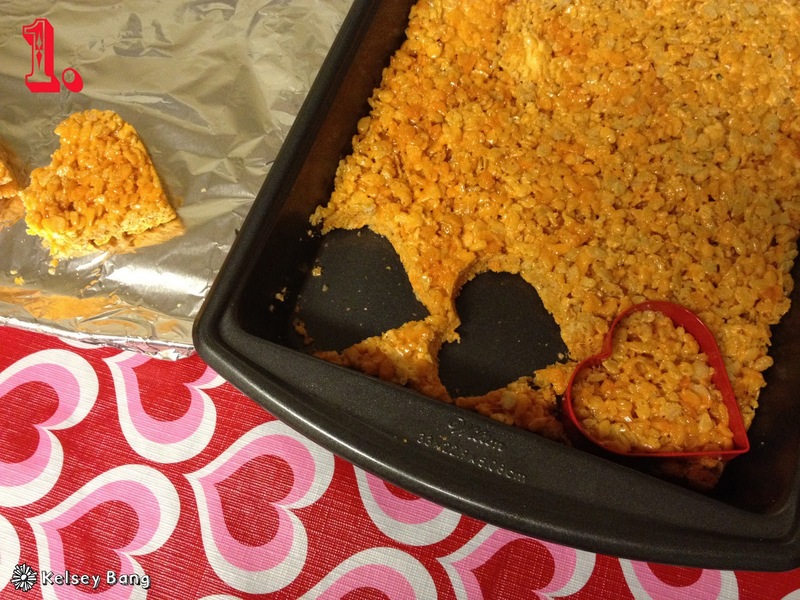 Make rice crispys (or buy already made rice crispy treats) and use your heat shape cutter to cut out the hearts. Dont mind the orange, I used orange marshmallows…. 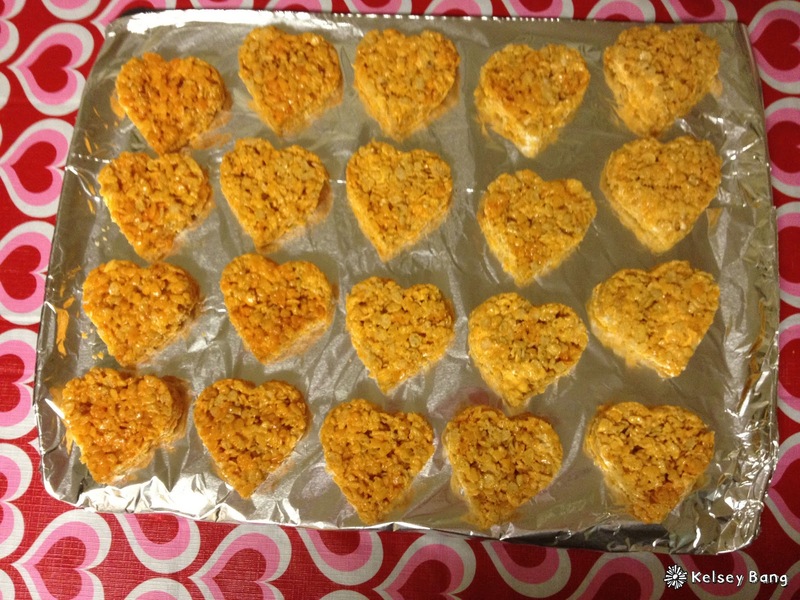 One batch of rice crispys will make about 12 hearts. 3. 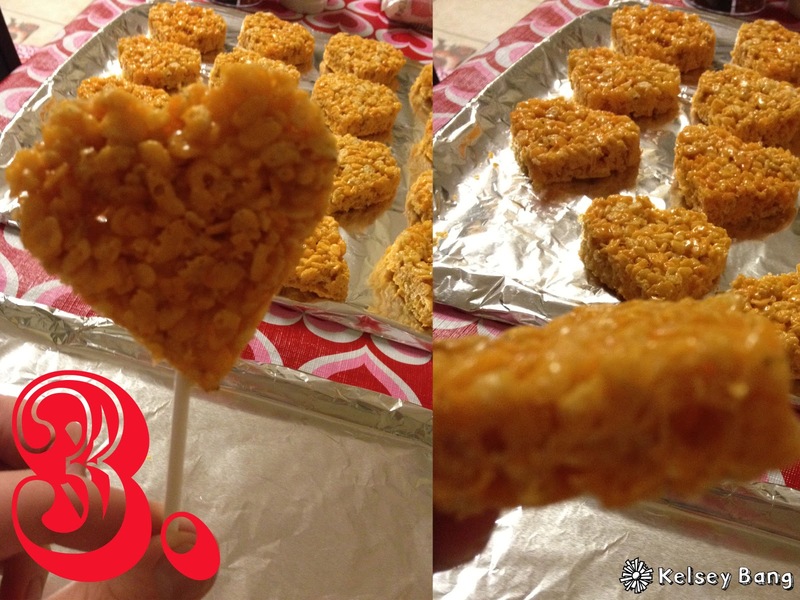 While the chocolate is preheating, poke the sticks where you would want them to be in the rice crispy. Do this for all of your hearts. 4. When your chocolate is melted, put your stick end in the chocolate, and then put it into the the hole in your rice crispy. Do this for all of the rice crispys, and then put them in the fridge for about 10 minutes. 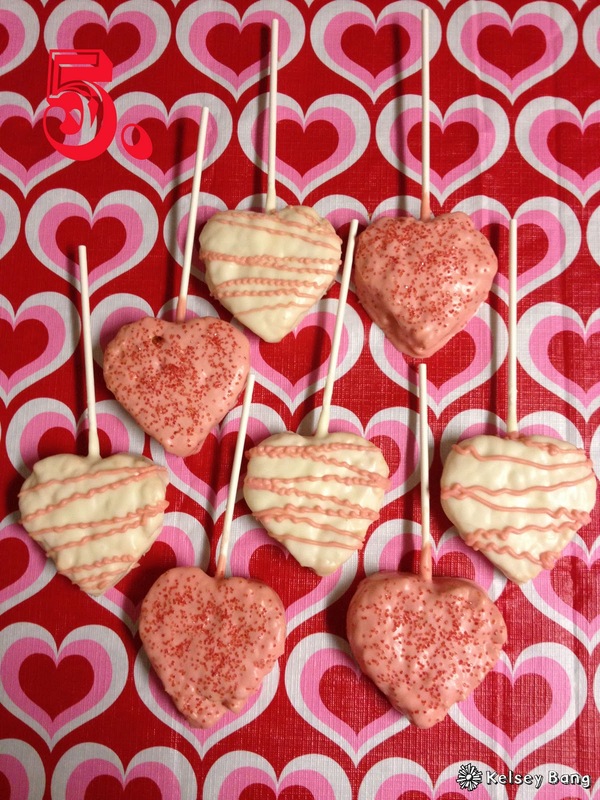 By putting the sticks in chocolate, it will harden and hold on to the rice crispy so when you dip the whole thing in chocolate, it wont fall off the stick and get lost in the yummy chocolate. 5. Now time for the fun part! 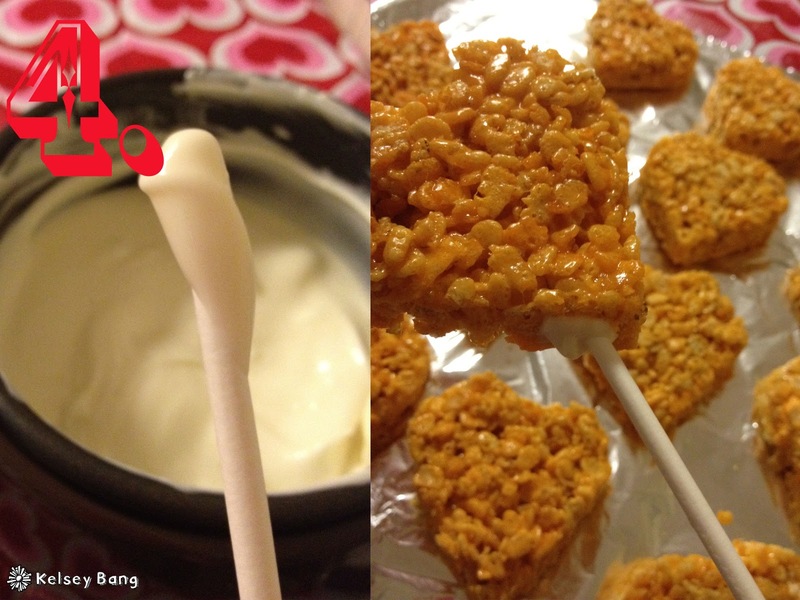 Dip the entire rice crispy into the chocolate, and then decorate! Sprinkles are always great! 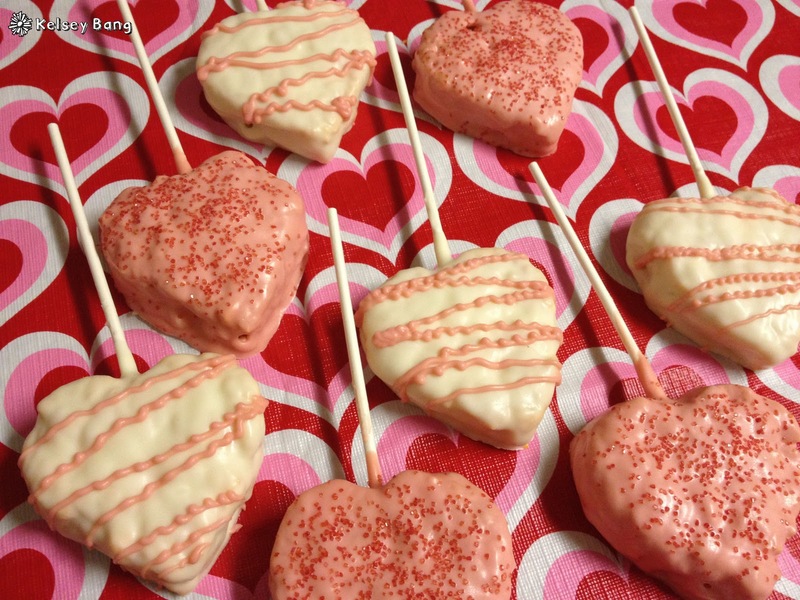 Or you can use the opposite color of chocolate to drizzle on the other color.